This calculator will help you to determine the principal and interest breakdown on any given debt payment. Enter the loan's original terms (principal, interest rate, loan term, and monthly payment amount) and click on the "Compute" button. Borrowing for major purchases like homes, cars, college education and other expenses allows consumers to buy ahead of their incomes, securing items they do not have enough cash to pay for. The trade-off for borrowers is repayment, which includes interest. As loans originate, debtors sign promissory notes pledging to pay the money back on time. Terms and conditions vary, depending on what you are buying and how much money you need. And interest rates also fall across a wide spectrum, each tied to prevailing economic conditions and individual lender policies. Even revolving credit accounts, like credit cards and other open-ended financing, are governed by terms including interest. Breaking-down loan payments is a little harder on revolving accounts, because ongoing purchases and fluctuating payment amounts cloud the picture. 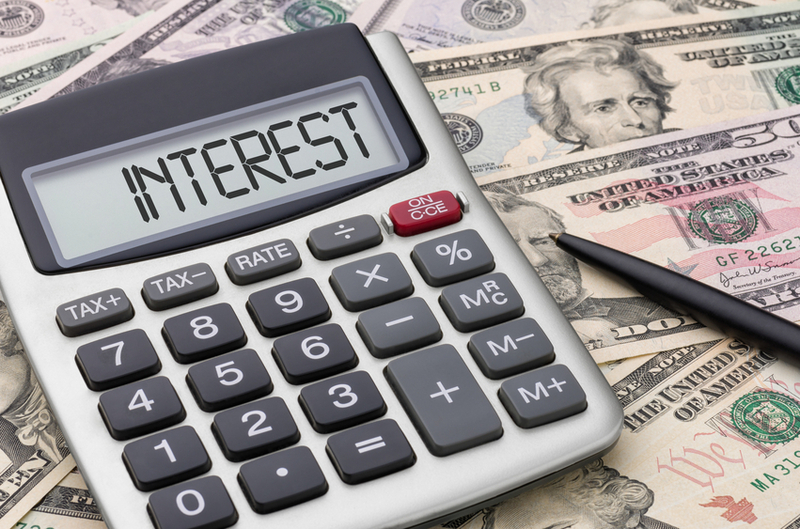 For a look at interest and principal payments on a particular loan, use principal interest payment calculator to break loan payments into their essential parts. There are several ways to secure financing for purchases exceeding the amount of cash you have on hand. Revolving credit is commonly used for routine spending and every day purchases. Credit cards are the best examples of revolving credit, allowing cardholders to make purchases without cash, before repaying the issuing credit card company. The convenience of such cards has elevated them to modern necessities, which must be managed prudently. Because money does not actually change hands at the point of sale, consumers are sometimes lured into over-spending. Revolving cards require ongoing discretion, so that payment obligations do not rise beyond your ability to pay. Installment credit operates on a different set of principles, in terms of repayment. Installment loans are used for major purchases like cars and homes. They are tied to fixed amounts of money, which is borrowed under particular terms and then repaid over time. Payments are consistent during the repayment period, requiring the same remittance each period. Loan repayment breakdown calculator looks at individual payments associated with your installment loan, illuminating how your payments are applied to the account. Principal represents the original amount borrowed. Unlike revolving credit card options, installment loans work to pay down principal amounts that do not change. As a result, it is easy to isolate which portion of your monthly installment payments are applied to principal and which cover interest. Mortgages and other installment loans are are broken up into payment schedules outlining the length of the repayment term and total amount of money to be paid back. The figure includes the original principal amount borrowed, as well as the interest paid over the entire life of the loan. Installment loans for cars and homes establish identical payment amounts for each billing period, providing repayment assurances for debts stringing out over years – even decades. To keep payments the same over time, loan balances are amortized at particular rates, and interest payments are weighted throughout repayment. For Example: Early mortgage payments of $600 might only contribute $25 toward the principal balance of your home loan, diverting the remainder to your interest obligations. The same sized payment falling closer to the end of the repayment period, on the other hand, applies hundreds toward principal reduction.